We go through four years as undergrads in order to be able to land a job when we graduate (so that we can make money and continue traveling, of course!) Students who study abroad are typically better able to adapt, make decisions, be independent and willing to try something new; these are all desirable qualities that employers want to see in those they hire, and even the First Lady is endorsing study abroad. Being able to add study abroad to your resume or bringing it up during an interview can be what gets you the coveted job offer. If you play your cards right, studying abroad can be your secret weapon when applying to jobs and internships. With only one page to work with, your resume can be tricky to format and include studying abroad in it, along with all of your other achievements. Regardless, there are some great ways to slip it onto your resume. In addition to including where you’re getting your degree from, include the school where you studied abroad. You did get some of your education from this university, so it’s definitely important to mention. Plus, being educated in a foreign country is something you want to show off! It means that you had foreign professors and classmates, suggesting that you can learn from and work with people of diverse cultural backgrounds. 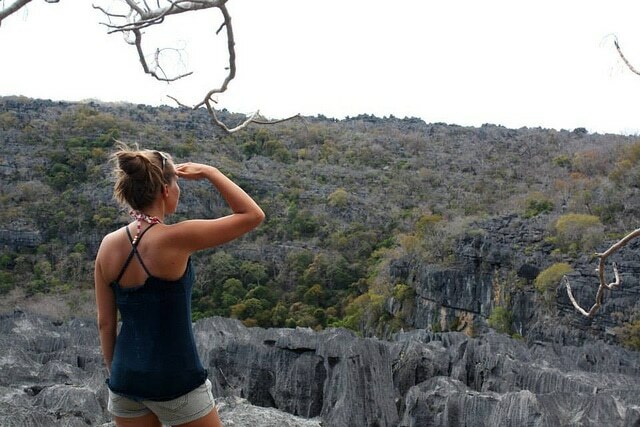 Bulk up your skills section with things you learned or enhanced while studying abroad. Definitely let them know if you’re proficient in a foreign language, and even including the fact that you have experience in foreign travel can be relevant. So many job fields require international communication or travel, so having these skills can put you above the competition. There may be other skills or traits, such as leadership, adaptability or flexibility, that you perfected while abroad that would be valuable to add to your resume. Did you work on a project abroad, volunteer, do extracurricular activities or take a course that is relevant to your major while abroad? Include it on your resume! These things signify that you didn’t just go abroad to travel and enjoy the young drinking age; you immersed yourself into the culture more than other candidates may have. Even if it does not seem to be obviously relevant to your major, try to spin it so that it is. For those about to study abroad, find out if there will be relevant conferences or talks in your area. Attending these will give you more talking points in future interviews and show that you are deeply involved and interested in your major as well as the country you studied in. This short letter should highlight why you want to work for the specific company you’re applying to, but should also convince the employer to consider you. Even if it is just one line about a relevant skill you honed while abroad, don’t leave it out. In my own cover letters, I always include that I put my writing skills to use by blogging throughout my time in London, so I hit two points in one sentence– I mentioned one of my skills while also showing that I studied abroad. I highly suggest including your study abroad experience in your cover letter– most employers see this as an asset! So, your cover letter and resume were convincing enough to land you in an interview room– now you’ve got to talk your way into the position. Before you even arrive, prepare and rehearse a few specific stories or experiences that you are comfortable talking about and that will impress your potential employer. 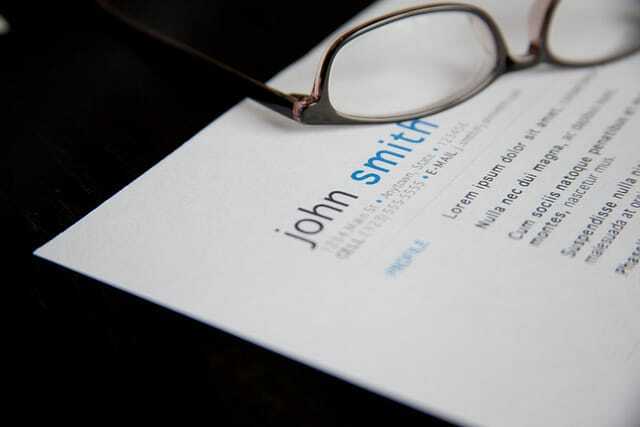 You will probably be asked a few questions about your resume, so be prepared to explain everything that is on there. Whenever you’re asked a question, don’t just say the answer, but show the employer the answer with specific examples. If you’re asked about a time when you had to overcome a problem, answer it with a story about a difficult situation you encountered while studying abroad and how you overcame it– maybe your flight was cancelled last minute or there was some conflict between your travel buddies while you were on Spring Break. In similar fashion, when asked what your best/worst traits are, relate them back to study abroad. It can be difficult to talk about your weaknesses, but you can tell the interviewer about one that you used to have, but that has since changed since you studied abroad. This shows that not only do you acknowledge your faults, but that you’re also able to change and grow. Make sure you don’t glaze over the strongest parts of your resume. You are selling yourself during the interview, so whether it has to do with studying abroad or not, make sure you make them aware of how impressive you are. This could be anything from completing a research project abroad to speaking Spanish for the entirety of your study abroad stint. Whatever sets you apart from the competition, make sure the employer knows about it. Less than 10% of American students study abroad in the course of their undergraduate degree, so that makes your experience so valuable and a great selling point while applying to internships and jobs. Stress how your study abroad experience was beneficial for you and how you’ve grown from it. With a competitive job market, highlighting study abroad in your resume, cover letter and interview is a great way to set you apart from everyone else applying for your desired position. How do you use your study abroad experience in your job search? Let us know in the comments. Previous Post7 Day Trips to Take While Studying in London Next PostShould You Use a Eurail Pass When Traveling? Its always a nice experience to study abroad and more important in tough climate. Like I am from India and I wanted to study in Cuba.